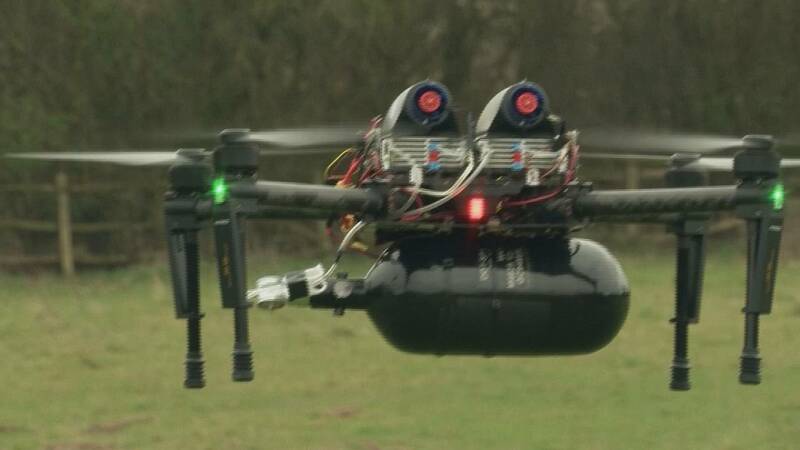 A UK company says it has developed what could be a game-changer in drone tech. While it may not appear different from commercially-available UAVs, Intelligent Energy’s drone is powered using two hydrogen fuel cells. The only waste product is warm air and water, which its inventors say solves two of the biggest problems associated with drones: flight time and re-fuelling. “On the top are the two fuel cell stacks – they need oxygen which is from the air, which is what the fans help – and underneath is the hydrogen. So, the hydrogen and the oxygen run across the fuel cell plates and produce electricity,” says Julian Hughes, Acting Managing Director of Intelligent Energy’s Consumer Electronics Division. The global commercial drone market is expected to sky-rocket in the coming years, reaching close to 5 billion euros by 2020. But it’s being held back by the short range and long re-charging times of conventional batteries, according to Julian Hughes. The energy group recently announced it had signed a deal with a major drone manufacturer. At the group’s headquarters, experts aren’t just experimenting with drones. They see potential applications in everything from cars to smartphones. “It’s starting now to hit the market in different areas. We’ve seen car companies have now released fuel cell vehicles, there are stationary power applications where fuel cells are providing back-up power to things like mobile phone towers or for generators generally,” says Julian Hughes. Intelligent Energy says it hopes to have its fuel cells on commercial drones within the next year. The company is also working with a smartphone manufacturer to create a phone that lasts up to a week on hydrogen fuel cells.